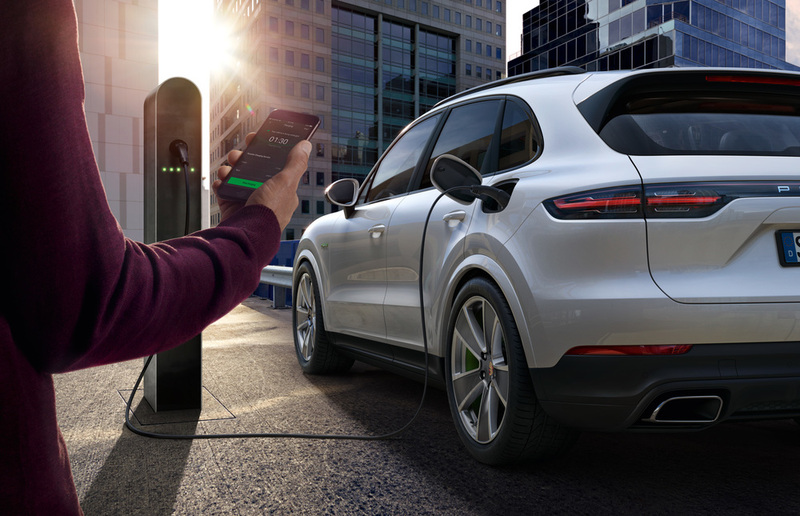 Just a few months after the launch, Porsche is expanding its charging service for plug-in and electric vehicles by five countries and a host of new functions: the platform now has over 49,000 charging points in twelve countries. Alongside Germany, Austria, Switzerland, Denmark, the Netherlands, Belgium and Finland, the charging service is now also available in Norway, France, and Spain. Great Britain and Italy will follow shortly. A new feature offered by the Porsche Charging Service is a rating function. This indicates when a vehicle was last charged at a charging station, and also lets users know how up-to-date and reliable the information is for the respective charging point. In order to permit better planning of charging operations, the daily capacity utilization of the charging station is also shown. In addition, the user interface in the app and the navigation function have been improved: After selecting a charging point, it is now easier to switch to navigation via Google Maps, whether on a smartphone or via Apple CarPlay in the vehicle. Information on the location and availability of charging stations and on the price for vehicle charging are available in real-time. At the charging station, user identification takes place either by QR code via the app or with the so-called “Porsche ID Card”, which users receive free of charge after registering for the service. In Germany, the fee for using the Porsche Charging Service is €2.50 per month. The costs for actual charging come on top of this: these depend on the provider as well as the amount of power charged. The prices are shown in detail and also according to power class/charging speed if wished. The app can be used on all mobile devices with iOS or Android operating system. The service is generally available to all drivers of hybrid or electric vehicles. It is not limited to Porsche sports cars. Registration is possible via www.porsche.com/connect-store.